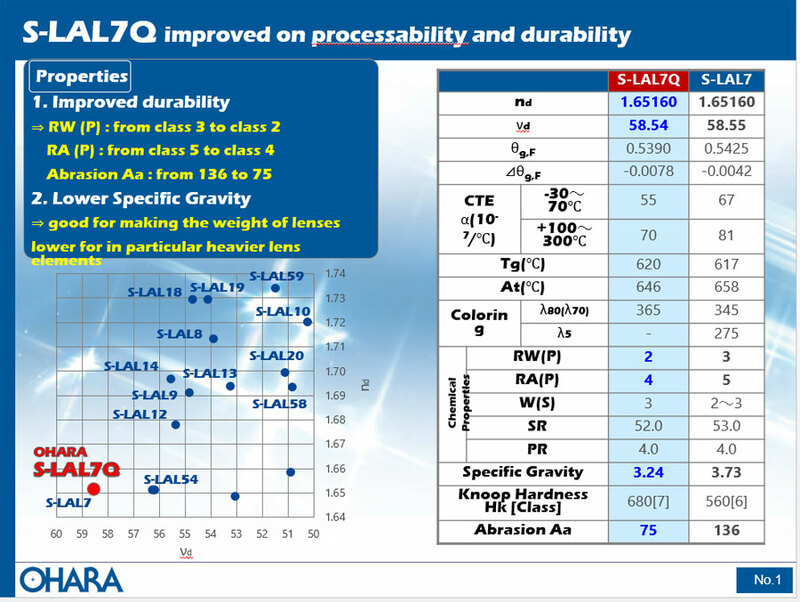 S-LAL7Q is an optical glass with improved chemical durability, specifically Acid and Water resistance, with improved polishing processability and the same Refractive Indices and Abbe Number as S-LAL7. These characteristics make it ideal for use in automotive applications, as well as Projectors, CCTV, FA / Machine Vision, Interchangeable Photographic and Broadcast lenses, and various others. Ideal for use in automotive applications, as well as Projectors, CCTV, FA / Machine Vision, Interchangeable Photographic and Broadcast lenses, and various others.